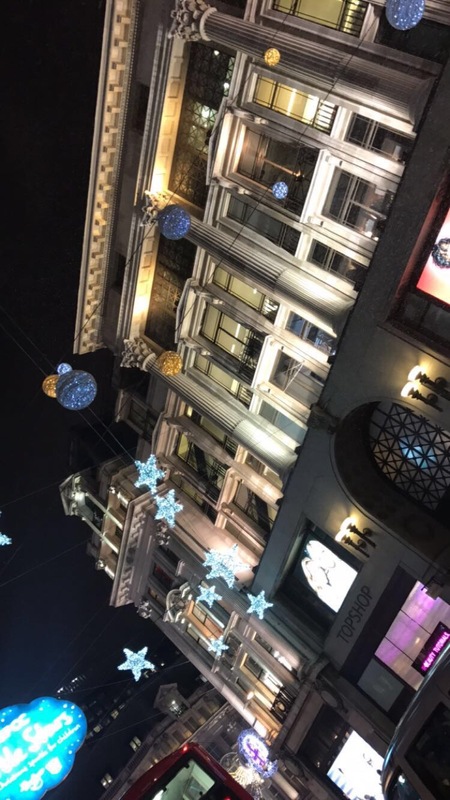 On 17th December 2016, I went to London for 3 days with my sister, Shona. I’d never been to London before so I really excited to go round all the tourist attractions and to go shopping. London has been known to be the one of the leading cities of the fashion world. “London is home to a large number of internationally renowned designers, including Vivienne Westwood, Stella McCartney, Jimmy Choo and Manolo Blahnik.”(S,1981). London is famous for holding one of the “Big Four” Fashion Weeks, along with Milan, New York and Paris. During my time in London we used the tube as our way to commute around the city. On the day we arrived we headed straight to Oxford Street. 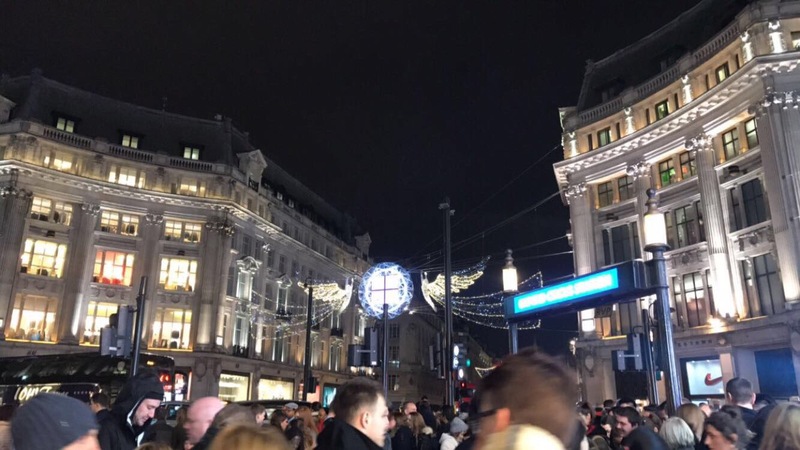 Oxford Street was amazing. Filled with thousands of people, Christmas shopping the atmosphere was unbelievable compared to Glasgow. It’s known to be one of the busiest shopping streets in Europe and offers one and a half miles of shops. The street supposedly has half a million daily visitors. The Oxford St. Topshop is very different compared to your local one. This store has 5 floors and 90,000 square feet to explore. They also sell unique brands that you wouldn’t get at a regular Topshop. They even have a DJ. 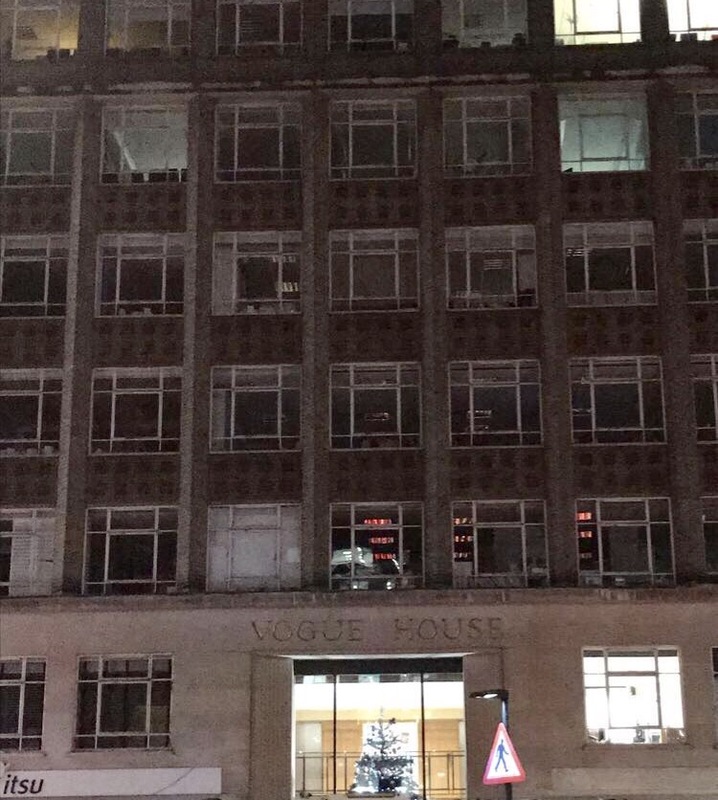 On the way to Victoria Street, just off Oxford Circus I spotted Vogue House. This is where shoots get prepared and fashion features get written. Many stylists, editors, designers and models work there. The worlds most influential fashion publication is Vogue. It’s produced in 18 countries and is famous for being a main part of the fashion world. Anna Wintour is the current editor in chief of Vogue and has been since 1988. London will continue to be a very important part of the fashion industry. There are new styles coming out every day. London will always be unique for setting trends.